Part of writeups.org’s goal is to encourage people to play super-hero tabletop RPGs. Hence our role-playing games 101 article. However, the second half of the 2010s sees a resurgence of tabletop RPG popularity, particularly D&D. This seems tied to YouTube, which makes it far easier to explain this hobby. So here’s a more advanced intro article. For people who already know the 101, are familiar with D&D Fifth Edition , and would like to see some super-action. Say, because they’re superhero movies fans. For more FAQ stuff, see our “FAQ central” article. Champions, which long was the category king. Superworld, perhaps best known for resulting in George R.R. Martin and Melinda Snodgrass’ Wild Cards novels. Leading superhero tabletop RPGs during the early 1980s. Click for a larger version. During the mid-1980s there were two more category-defining games, DC Heroes and Advanced Marvel Super-Heroes. As the titles indicate they were officially licensed, which quite helped. Palladium Games’ Heroes Unlimited was also a presence. These remained a high water mark for a while. The existing games, such as Champions and DC Heroes, refined their mechanics in successive editions and supplements. But even with their own strengths, newcomers (such as DC Universe, Marvel SAGA, Silver Age Sentinels, Aberrant, etc.) had difficulties holding a fragmented ground. During the 2000s, the surge in popularity of the d20 system led to a new category leader – Mutants & Masterminds. It too would mature through successive editions and sourcebooks. Also available as DC Adventures, which was licensed to use the DC Universe and its characters. In most areas it may be the most common one. And it is derived from d20 systems, so it has commonalities with the big-name RPGs such as D&D or Pathfinder. It is supported by writeups.org – here are a player’s handbook for DC Adventures on Amazon . Or for Mutants & Masterminds 3rd if the DCA books are too expensive due to Amazon weirdness – but these don’t have DC Comics material. Older tabletop RPGs do not become obsolete. It’s not like there’s a technological evolution or some such. Thus, playing the three Great Old Classics remains fine. This is the main tabletop RPG supported by writeups.org. It came up with elegant and innovative systems, but it is also “medium crunch”. There aren’t a tonne of rules, but they have depth. You’ll find a lot of material about DC Heroes on WORG. “MEGS” (Mayfair’s Exponential Gaming Systems) and Blood of Heroes (a later edition by another company) are the same system as DC Heroes. Getting a copy of Blood of Heroes: Special Edition on Amazon is simple and inexpensive, though the book isn’t a pretty or glossy one. 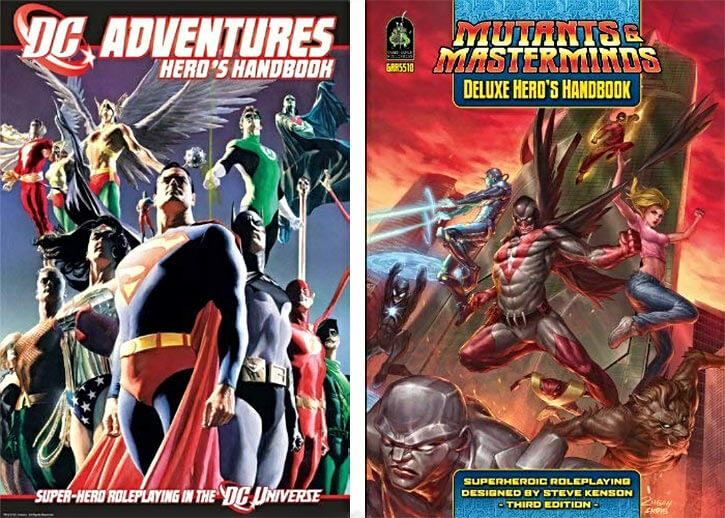 As of 2018, these likely are the cheapest and most convenient entry points in these classic superhero tabletop RPG systems. Click for a larger version. I loved this system as a kid. 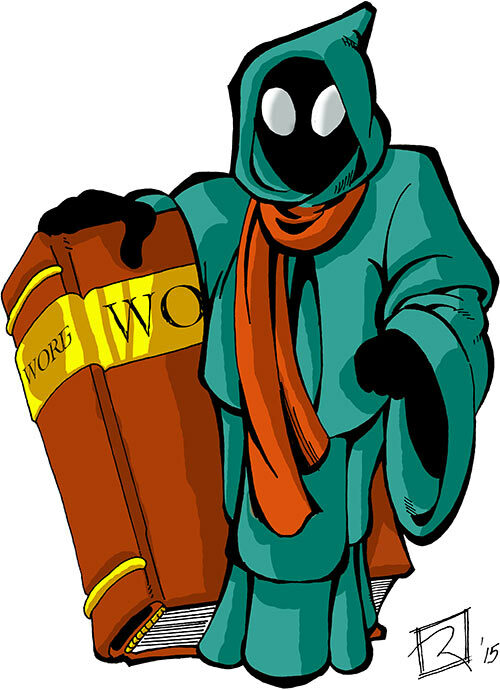 It was almost supported by WORG – but there are only so many hours per day. It is more accessible than DC Heroes, but a bit more limited. The system is also called “Classic Marvel” or “FASERIP”. The original, 1980s books published by TSR tend to be expensive, but there are retro-clones such as the FASERIP game . To explore this you should check the fan community at Classic Marvel Forever . As of 2018, the latest edition is Champions Complete . This is a higher-crunch game, for people who want more fiddly bits and tactical tuning and systems to play with. Since Champions has been around for decades, there are many sourcebooks, settings, rulebook and the like. “HERO system” is essentially the same as Champions. For more about the game, you can check HERO Games’ website . The 2000s and 2010s saw much experimentation and niche games. These often aim for the low-crunch, more narrative-based style of tabletop role-playing. Same designer as Mutants & Masterminds, but much smaller and simpler. Whereas M&M channels DC Heroes and Champions, ICONS channels Advanced Marvel Super-Heroes. It also draws from a much more recent, narrative-oriented system called FATE. You can simply get it on Amazon . Notable recent indie superhero RPG systems. I bet they only listen to bands I’ve never heard of. Click for a larger version. Now known as Cortex Heroic RPG since the Marvel license was time-limited. This distinctive system does things differently than most, with an almost experimental vibe. This means that the game can center on story beats and character traits, but its concepts aren’t obvious to many. The books (authored by Cam Banks and Margaret Weis Productions) are now getting expensive due to low print runs. But they do have the Marvel material. The system in itself has evolved into the Kickstarted game Cortex Prime . This one is a solid example of recent “indie” RPG super-hero design, aiming for a good balance between story and system. If the indie scene turns out to be your thing, other well-regarded indie systems include BASH, Capes Cowls & Villains Foul, Masks, Squadron UK and Prowlers & Paragons.